The $1.00 iPhone Projector project was just too cool not to experiment with. 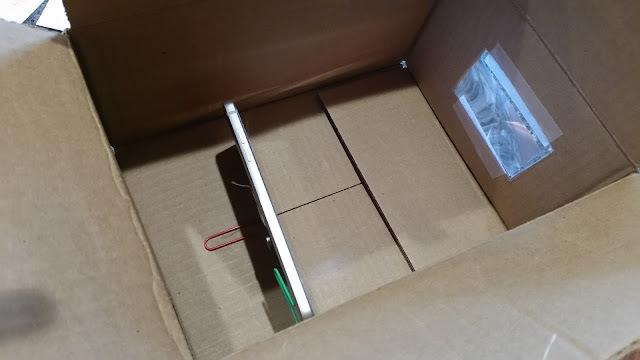 The idea is simple: you take small box, fit it with a lens, and setup your cell phone behind it so that it projects onto a wall. The original instructions call for using a magnifying glass as the lens and Legos to create an adjustable cell phone mount. 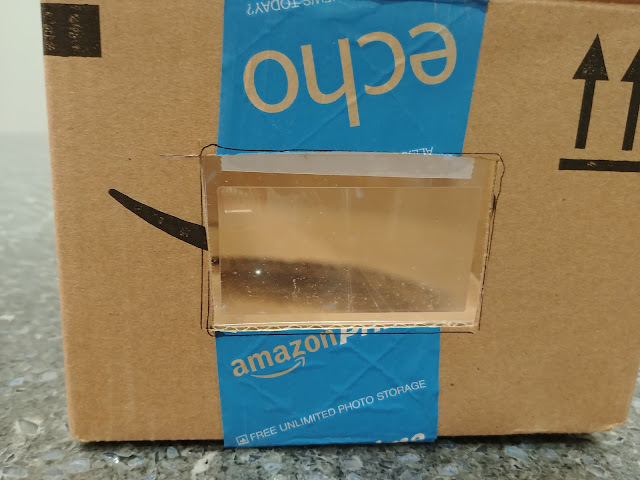 I used the materials I had on hand, which was an random Amazon box, a $2.00 wallet Fresnel lens, duct tape and a few paper clips. 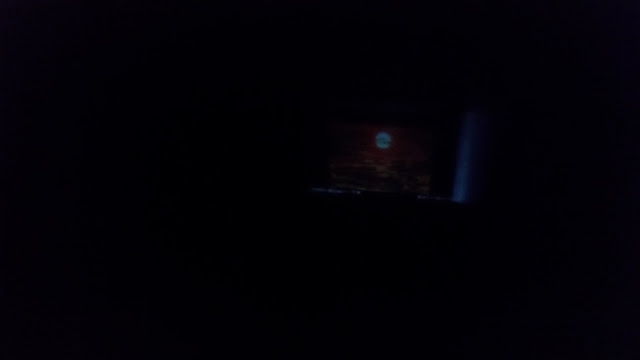 With a better lens and more carefully constructed case, I'm sure I could get far better results. Just experimenting with using Legos as a DIY building material is probably worth the effort of doing this right. Ultimately, I'm not sure how functional this project would be even in its cleanest form, but it holds a surprising amount of promise.